Brazil nuts are a good example of why it’s important to consider more than the calorie content of a food when designing a weight loss diet. 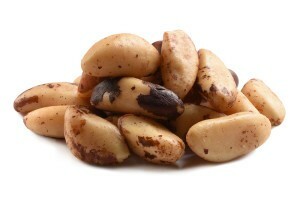 Although a 1-ounce serving of Brazil nuts contains 186 calories, they are a beneficial asset to a weight loss diet. A 1-ounce serving of Brazil nuts provides about 19 grams of fat. Fat can promote satiety which can lessen your desire to snack or over indulge at mealtime. If you have chosen a low carbohydrate diet as a way to reach a weight loss goal, Brazil nuts would be a beneficial addition to your diet plan. There’s approximately 3.5 grams of carbohydrates in a 1-ounce serving. Adding a few of these low-carb, sweet-tasting, creamy, buttery nuts to your trail mix can assist in weight loss. Fiber also contributes to a sense of fullness. Brazil nuts are an excellent source of fiber. Another reason to include Brazilian nut for weight loss in your diet plan is that they are a good source of arginine which is an amino acid that helps expend energy and promote fat loss. An improperly functioning thyroid can lead to a myriad of health issues. One of those adverse health issues is weight gain. A healthy thyroid gland controls the release of hormones that play a significant role in how your body uses fat, protein and carbohydrates. 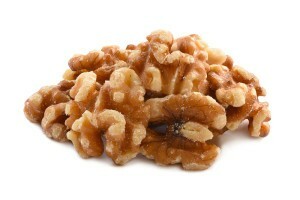 Selenium is a mineral that is a major supporter of the thyroid gland. Selenium helps with the production and regulation of thyroid hormones. It’s incredibly easy to get a sufficient amount of selenium in your diet, even if you’re on a weight loss diet. 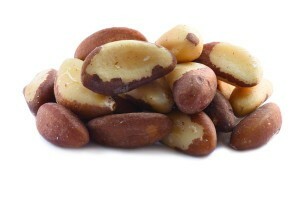 As few as two Brazil nuts can supply the recommended daily value of selenium. You can incorporate a few Brazil nuts into your snack or meal plan and give your body the selenium it needs to function properly. Selenium not only supports thyroid health, it helps reduce inflammation, improves mood and can reduce the risk of cancer. Gaining all of those benefits makes Brazil nuts an even more appealing addition to your list of weight loss snack foods. Diversity is a key factor in a weight loss diet. It’s easy to veer off a weight loss diet if you become bored with the foods you include in your diet. While incorporating Brazil nuts into your diet can help you lose weight, they are not the only variety of nut that promotes weight loss. It’s important to keep in mind that nuts should be eaten in moderation to gain their health benefits without compromising your weight loss plan. In addition to Brazil nuts, walnuts, almonds, pistachios and cashews can be incorporated into your weight loss snack routine and into numerous, healthy, diet-friendly recipes. Walnuts are an excellent source of polyunsaturated fats which improve metabolism and decrease the amount of fat the body stores. Almonds are a good source of an amino acid known as L-arginine that helps you burn fat. Pistachios are a relatively low-calorie snack that contains enough protein and fiber to keep you feeling full longer. 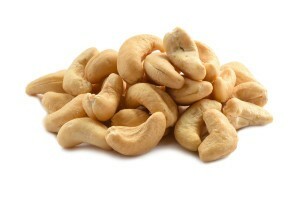 Cashews are a good source of healthy monounsaturated fat. This type of fat can help increase weight loss. Cashews can be eaten as one of your protein sources when you’re dieting.